Gwyneth Paltrow Denies using Botox or Fillers! 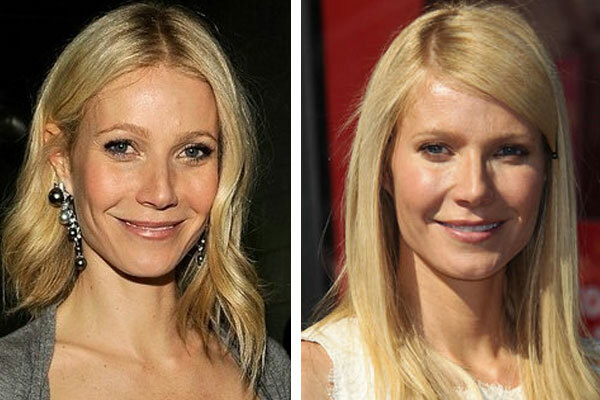 Our lady of Goop, Gwyneth Paltrow recently went on the record denying she has ever had any silicone or botox to OK! Germany. 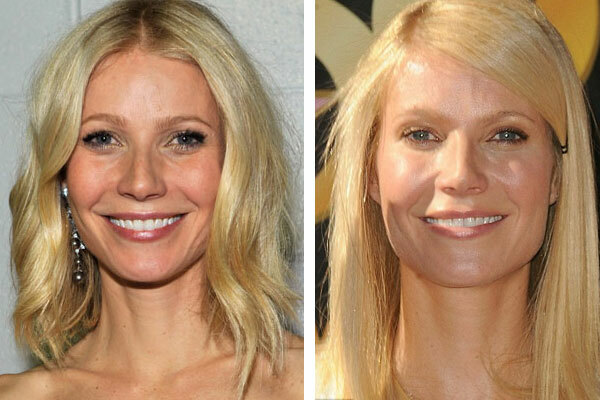 Gwyneth claims that she would never do any “gimmicky” forms of plastic surgery, and she “refuses” to do Botox (haha, LIES). “Paltrow insists she wouldn’t use any “gimmicky” forms of surgery, but wouldn’t rule out having her breasts enhanced. The 38-year-old beauty has kids Apple and Moses and says without surgery, her breasts will never be what they were before pregnancy. So was Blythe defending her daughters Botox and filler usage or was she just speaking in roundabout Hollywood terms? Janice Dickinson, self proclaimed “world’s first supermodel”, and T.V. 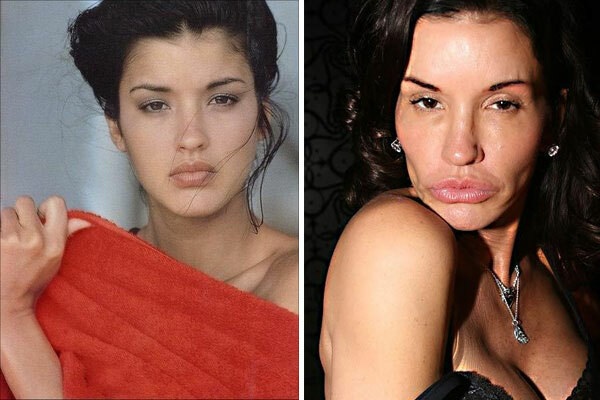 personality has taken extreme plastic surgery to the next level, a BAD level. Before her multiple operations, Janice was one of the top working models through the 70’s and 80’s, but when she started messing with her natural beauty things went downhill fast. With all these procedures we’re surprised she doesn’t melt in the sun! What do you think of her “improvements”, did we leave any out? 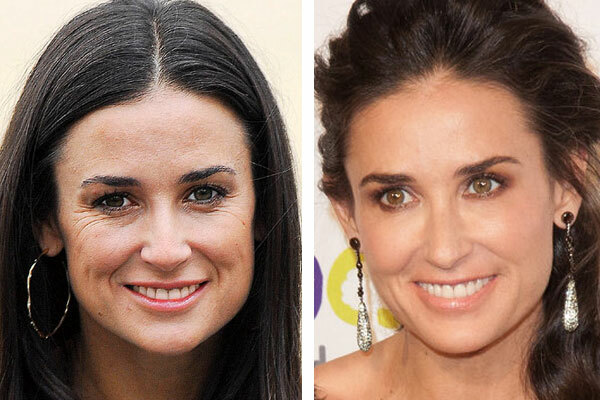 Demi Moore has long been touted as the “poster child” for amazing plastic surgery results. It has been speculated by top plastic surgeons that over the years the star has spent upwards of $123,000 on plastic surgery alone! Here is a breakdown of the plastic surgery procedures reported by Daily Mail. But that’s not all Demi Moore is doing to keep her younger husband Ashton Kutcher around, she has also been using loads of fillers and botox for a more natural looking non-surgical face lift. The above pictures are from 2007 on the left and June 2011 on the right. AMAZING results you can get yourself for only an additional $50,000 according to Allure Magazines April 2011 issue. Whatever Demi is doing, she is doing it RIGHT! Girl has been turning back the clock for years now and we are impressed with how a cougar like her is able to keep a much younger husband, Ashton Kutcher around.